one cool site by timethief. She describes herself as ” a passionate and experienced WordPress blogging tips blogger. I enjoy helping people who are learning to blog, answering support forum questions and publishing blogging tips articles and tutorials”. Her “goal is to provide useful information to both beginners and to those who wish to improve their blogging skills” (one cool site’s about page). timethief is also a volunteer on WordPress.com Forum boards. If you blog on/with WordPress, you simply must visit one cool site. timethief, has over the years, amassed a trove of “tips, tools and tutorials” on a wide variety of subjects and issues related to blogging. Lorelle on WordPress. Lorelle VanFossen was among the first 100 bloggers and early users of WordPress.com and she can give you a detailed account of the history of the platform if you asked; a history, which since 2005 is closely intertwined with her own life story. She trains users and develops WordPress sites. The depth of her knowledge is breathtaking, really. 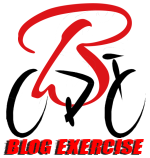 Lorelle is running a year long series called Blog Exercises, which “are designed to strengthen your blogging abilities”. She posts daily and each post has an assignment. The topics cover everything to do with blogging – for example, categories, tags, tittling, comments, pictures, scheduling, drafts etc. She describes the series as “yoga for your blog”. Although I’ve been aware of the program, I’ve been too busy to join till now. I’ll be working through the series and those of you who’ve email subscribed to Kinna Reads might get a number of old posts in your mailboxes. My apologies if that happens. Do check these two blogs out whenever you need help with any aspect of blogging with WordPress! You can also follow them on Twitter at @timethief and @lorelleonwp. I agree: Lorelle and timethief are the best and they’re the most helpful. You ask them a question, and they give you a dissertation with lots of references. They make you learn. They’re resourceful and selfless, with boundless energy and enthusiasm. I’ve taken up challenges in some of Lorelle’s Blog Exercises and they’ve challenged me as a blogger, as a person, to be a better thinker. I’m thrilled to have found your blog and I’m keen to explore more. Thanks for the recommendations – these sites look interesting, and I’ve signed up for their RSS feeds, so may be doing some ‘exercises’ myself! What a wonderful way to start my day. Thank you so much for the review and recommendation of my blog to your readers. To be featured side by side with Lorelle is such an honor. I have long admired her work and consider her to be an outstanding WordPress blogger and a wonderful friend. Your readers will benefit by joining us in undertaking Lorelle’s wide range of Blog Exercises. Best wishes for happy blogging. Thanks for the nice recommendation and review. I’m a huge fan of timethief and have loved calling her friend for many years. She gives so much to the WordPress community, there is absolutely no way we can thank her adequately. She’s a precious gem! Thanks for highlighting her efforts.